If you’re a collector, an aspiring collector, or just interested in really expensive objects, than this is something you have to hear about. Today, world-renowned Miami watch dealer, Matthew Bain, has announced the sale of a second series rose gold 2499. The selling price: $3.2 million dollars. Yep, and it'll be the most expensive watch to ever sell online. The 2499 is arguably Patek’s most prized wristwatch, exhibiting outstanding results on the auction block. One example, in Platinum and belonging to Eric Clapton, sold in 2012 for a record-breaking $3.65 million. Bain’s 2499 happens to be an early reference, dating back to the 1950’s. Despite the age of this watch, the case, dial, and movement have never been altered in any way. 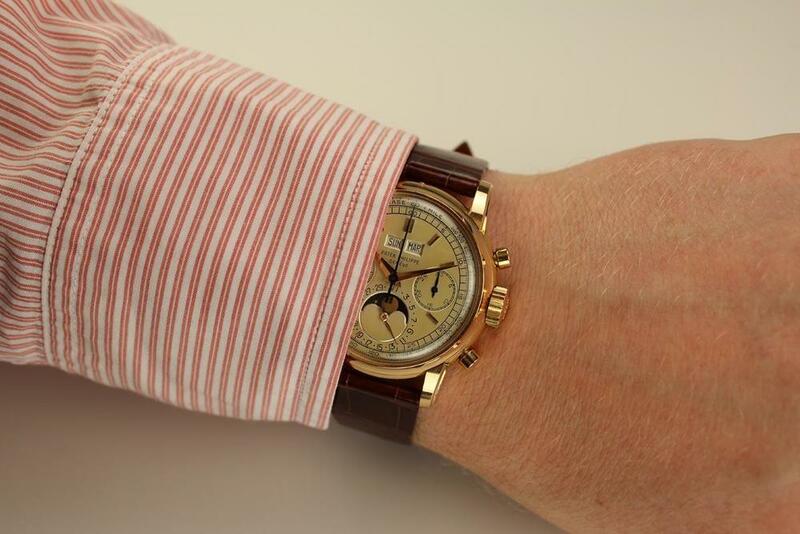 The complications include a perpetual calendar moon phase and chronograph.